Yoga uses breathing techniques, exercise and meditation. It helps to improve health, mindfulness and happiness. It could be said that a primary goal of yoga is to gain balance and control in one's life. Man is a physical, mental and spiritual being; yoga helps promote a balanced development of all the three. There are various styles of yoga that range from gentle to power yoga. The class that are taught depend often on the preference of the person booking it. 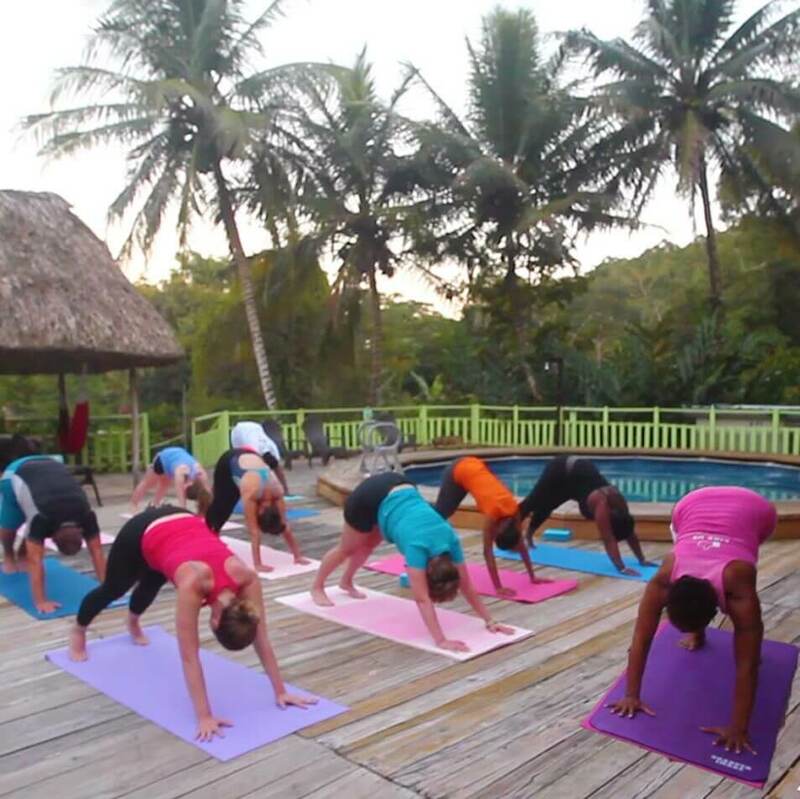 At the Maya Mountain Wellness Center we encourage people to try yoga if they haven't ever done it. We provide a free class every Saturday at 5 pm. We can book other times by request. Our instructor on Saturday afternoon assures that the class is comfortable for first timers. 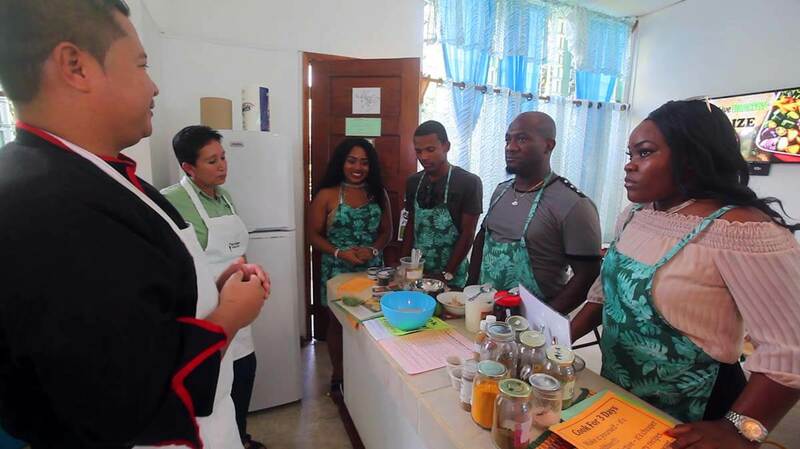 Nutrition and Food Preparation: Practicum course on cooking and food preparation for wellness plus a 45 minute class in nutrition aimed at choosing healthier foods and super-foods. Combined cost $100* per person with a minimum of 2 persons includes lunch (3 1/2 hours). 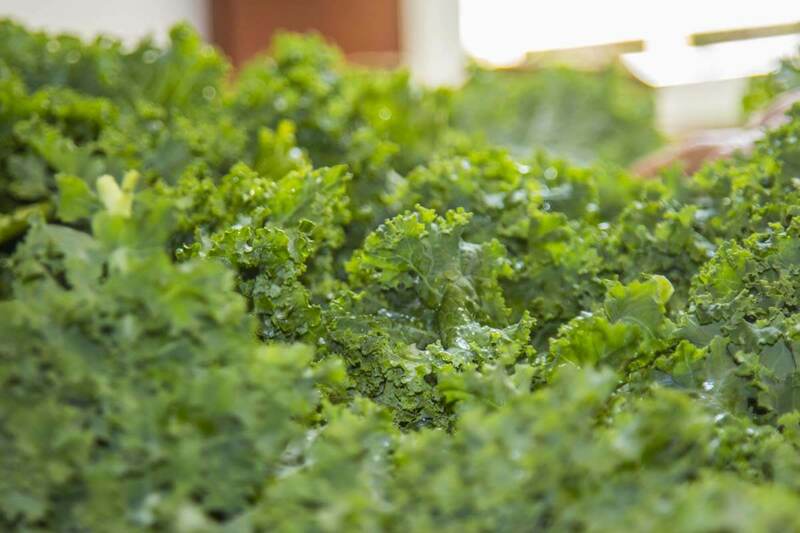 Digestion and Probiotics: Practicum course in the preparation of probiotic tonic, Kombucha, yogurt, saurkraut, and detoxifying green drinks plus a 45 minute nutrition class on digestion and probiotics. Combined cost $100* per person with a minimum of 2 person includes lunch (3 1/2 hours) . Raw Foods for Healing: Practicum course in preparing various raw foods including salads, sprouts, nut pate, sauces, and dehydrated foods. Combined cost $100* per person with a minimum of 2 person includes lunch (3 1/2 hours) . * All a la carte (non-package) prices are subject to 12.5% tax. Tipping is encouraged.